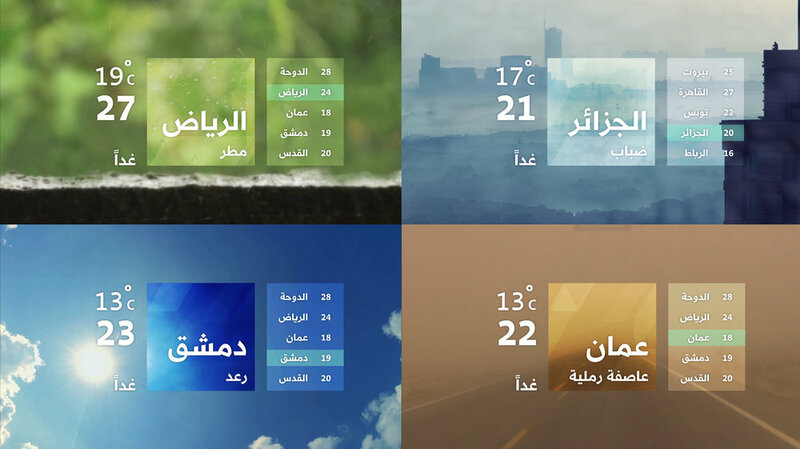 Daily weather forecast graphics designed for Alaraby TV. The data comes directly from a FTP server and is translated into 10 cities, Min & Max temperature for the day and a calculated average. The weather shortcodes are also programmed to select the corresponding set of videos for the forecast.